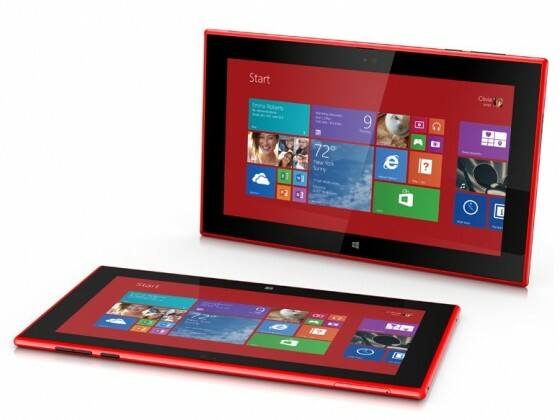 Nokia Lumia 2520 Tablet review – it is a 10.1-inch device that is designed for mobility, with built-in LTE connectivity, design ‘stealing’ from other Lumia models and specially designed screen that should be excellent in outdoor lighting conditions. The device includes a 6.7-megapixel rear camera with f / 1.9 optics and a 2MP camera on the front for video chats. As for the rest of the technical characteristics, Lumia 2520 uses a Qualcomm Snapdragon 800 chip paired with 2GB of RAM, 32GB of storage space, expandable with microSD cards (up to 32GB) and there is a battery of 8000mAh (up to 11 hours of video playback). From connectivity, there are NFC, A-GPS + GLONASS, WLAN 802.11 a / b / g / n, microUSB 3.0, Bluetooth 4.0 LE, etc. Tablet will be available in four colors casing, glossy, red and white, and matte black and light blue.